Beautiful beaches, high cliffs, huge stretches of dunes and small, discreet creeks: the natural environment of the French coastline has it all, but it is fragile and needs to be protected. All the eclecticism of the French coastal landscapes is clearly evident in the inventory of areas protected by the ‘Conservatoire National du Littoral et des Rivages Lacustres’ (the french Coastal Protection Agency). The numerous sea-side resorts and small fishing ports dotted along the 8,000 km of coastline bear witness to an irresistible attraction to the sea. But with over a tenth over the coastline under the strict protection of the ‘Conservatoire National’ (owner on behalf of the State), an entire « border » area – between land and sea – will remain in its natural state and will retain all its original purity. Large stretches of sand (e.g. the Pyla dune, which holds the European altitude record at 110 m! 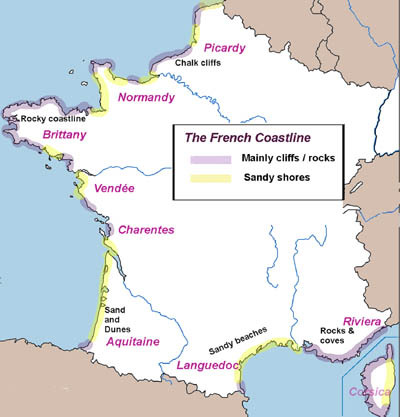 ), small areas of chaotic rock formations (such as the Abbadia estate, a cliff area in the Basque Country), the Breton islands (Batz, the Morbihan Gulf islets etc.) or the Mediterranean salt-marshes (the Giens peninsula)..these specific environments are home to a surprisingly rich array of flora and fauna. From the tidal reservoirs of the Somme Bay in Picardy, which attract birds migrating to the Rayol Gardens (on the Riviera) and which are home to numerous precious plants, to the beaches and grassy hills that were the arena for the Normandy landings, now not just a place of remembrance but also a genuine biotope! The inventory of the « Conservatoire’s » numerous sites (now part of 300 areas that meet consistent criteria) represents 70,100 hectares of remarkable territory, both in France and in the French overseas departments. These figures are constantly updated as the ‘Conservatoire’ is continually acquiring new parcels of land. 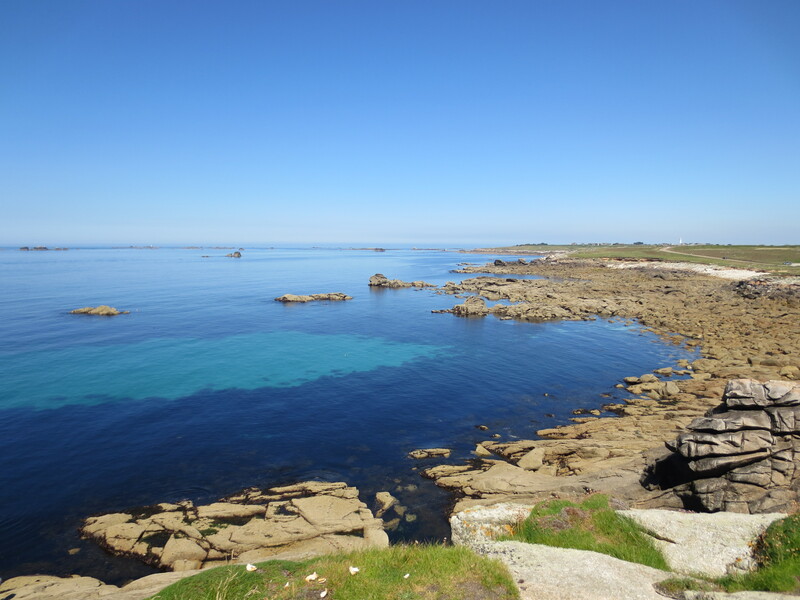 Certain sites are labelled as part of the « major national site » programme, such as the Pointe du Raz (in Brittany), partially recognised as a natural reserve within the structure of a regional country park (i.e. the Camargue lakes or the Brière marsh) or a national park (e.g. the Island of Port-Cros in the Var). An efficient system, almost unique in Europe but still necessary. These areas, monitored and maintained by the coastguards, are open to the public for nature walks. The ‘Conservatoire du Littoral’, financed by the State, the Council of Europe, private donations and corporate sponsorship, has now been operative for nearly thirty years and manages its territories in partnership with local administrations. It extends its presence a little further each day and thereby helps to develop small, discreet areas as well as major sites. Amongst the latter, the beautiful and impressive collection of cliffs that symbolises all the creativity of the ancient erosion process: (from north to south) the Gris Nez cape in the Pas de Calais region, the chalk cliffs of the Etretat in Normandy, the Calanques near Marseilles and Cassis, or the Cap Canaille in the Mediterranean. Not forgetting, of course, the red rocks of the Calanches de Piana or the escarpments of Bonifacio in Corse. Breathtaking! The ‘Conservatoire National du Littoral et des Rivages Lacustres’ is gradually moving inland in order to acquire areas bordering lakes, whether artificial (e.g. Bort-les-Orgues in the Massif Central, Serre-Ponçon in Hautes-Alpes or Der-Chantecoq in Champagne-Ardennes) or natural (Annecy or Lake Geneva in Haute-Savoie).